Got my shipping confirmation at 5:00 pm EST. I am trying to keep up with this set. It’s so pretty. DisneyJ and slbrabham like this. Received shipping confirmation! 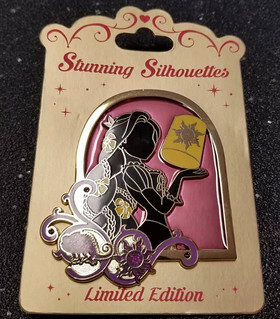 It’ll be up for trade and pinpics has finally been working for me lately! starry_solo and DisneyJ like this. 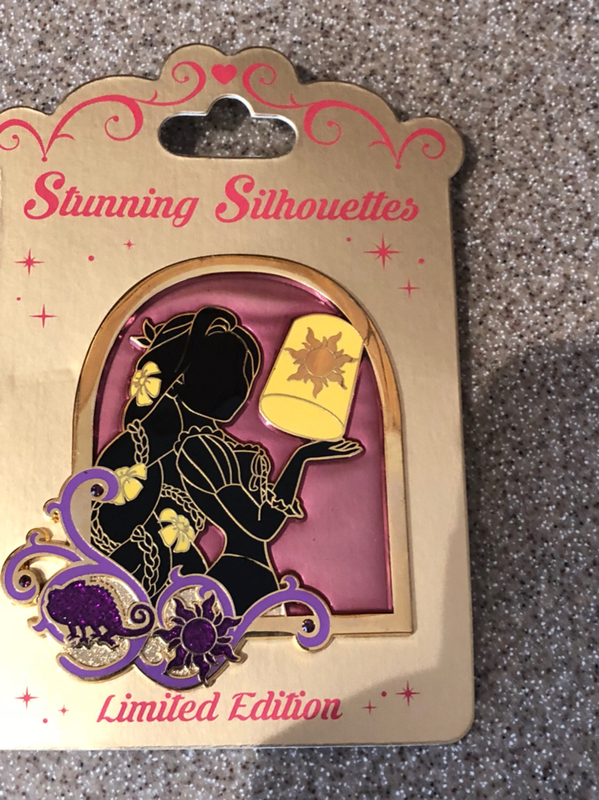 With the Ariel pin, I didn't get shipping until that Sunday after I purchased on Monday. I haven't heard as many cancellations as last time. Keep thinking positive. Side Question: Are you trying to collect a set? I almost want to find Snow to make a set. Thanks for the offer. All Rapunzel pins I get go to my sister and niece. My sister never got through but I did. My niece who lives with me loves Raps, too. I'll keep an eye and maybe we can trade in the future. DisneyJ and starry_solo like this. starry_solo, Haunted575, nateeter and 2 others like this. Just wanted to share the image - will receive our pins next week (both of them). Haunted575, starry_solo and Ajk like this. I see it's missing that black enamel on the dress underneath the swirl....just like the promo picture and the pin pulled off the boards. I JUst got mine and it’s also missing the black under the swirl. Are they all like that???? I got mine today. It is really very pretty with all the details. I really like the contrast between the pink Pascal and gold. Forward. There almost looks to be a tiny wave in the gold there. Mine is up for trade for good alice pins! Everyone's is gold there. But it's supposed to be black because of her dress. They should have either made it black or made the entire section under the gold swirl gold... like the other swirls. As it is it definitely looks like it’s missing a bit of black enamel. I got mine! It’s a really nice pin. Not sure how much you can tell from the below picture, but the glass above her head looks thinner than the rest. Are the ones other folks got the same way? Grrrrrr....That figures. I finally get through and get the pin and they send me one with a manufacturing defect. My luck hasn't been as good as I thought it was! Oh man I just got mine, and have a major defect. The black enamel on her face is not even, and is bumpy even. It almost looks dirty as its slightly gray too, or she's just been possessed by some demon. I don't think I can really trade it, will post pictures tonight as I was in a hurry this morning. Honestly , it’s hard to get a perfect pin in this series. I consider this my prettiest flawed set I just had to have. Lol. I have bent cards , scratches on the gold outline (I wish the gold would have been etched instead of smooth to begin with so scratches would blend in), etc. TheMickeyMouseRules, slbrabham and watzshakinbacon like this. I’d potentially be interested in a trade!